It’s safe to say I watch YouTube more than I watch regular tv these days. YouTube has everything you need and I constantly use it as a primary search engine for anything I need to know but mostly beauty. The community of black beauty gurus is both large and small at the same time. I know at some point in time most girls want to know how or at least have an idea on how to beat that face! Well look no further, I curated this list of Black Beauty Guru’s Who You Need To Know. I’m always looking for new beauties to watch. Share down in the comments below who you think I should look out for. Let’s support our fellow black beauties and pick up a few beauty secrets along the way. Starting off with a not so shameless plug, I’m Kara of Kay’s Ways; freelance makeup artist turned beauty blogger who LOVES to talk everything beauty. I’m joining the LisaALaMode family as a contributor so you’ll be seeing this face here from time to time. Keep up with Kay (#KaysWays on your favorite social media outlet) for product reviews, demonstrations, tips, techniques and more! Make sure you hit that SUBSCRIBE link to stay up to date for what I’ll be bringing to you. If you follow this blog you already know Lisa keeps it 100, all day every day, so that’s exactly what you’ll find on her channel. 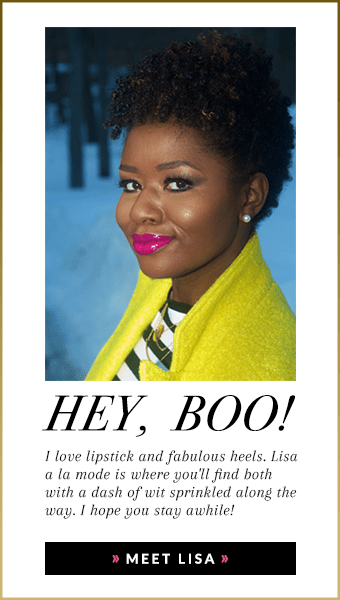 From natural hair tutorials, beauty reviews, lip swatches, to real talks, Lisa does it all, and she’s a mom, full-time content creator, and wife?! Follow her for more HERE. When I tell you Keisha was the first beauty guru I become addicted to! Makeupd0ll is a true inspiration to all makeup lovers out here. She always rises about the negativity and gives that EFF dis, get money vibe and I’m all here for it! We all know and loved her as LittlePumpkinPie05 back in the day, but MUVA Jackie never disappoints. Her ways of teaching different makeup application tips while you just feel like you’re kicking it with your homegirl will have you coming back to her channel for more. Read more about Jackie HERE. If you are a woman of color who loves all things beauty you should already be familair with Danielle’s blog (access it HERE). She’s a huge inspiration to many black beauty bloggers, and consistently produces top notch videos and beauty reviews. Nitraa almost makes it look too easy! Not overcomplicating the makeup application process, Nitraa will be slayed with minimal effort. She is as sweet as pie and is currently expecting her first child. She even vlogs about her personal home life and experiences so be sure to check her out. With her haulage alone, you won’t be disappointed! You just need to watch one of Vicky’s beauty reviews and you’ll know right away why she’s a beauty editor on this site. She is, perhaps, one of the most knowledgeable beauty gurus on the tube. She knows EVERYTHING about makeup. Miss Erika is forever giving us life, from beauty, to fashion, to natural hair, she does it all. Get familiar! Need some vibrancy and color in your life? Coloured Beautiful will definitely get you right! I will say more recently she’s been posting more hair stuff but off the strength of all the gorgeous looks I have watched Ebony create over the years, she definitely deserves a spot on this list! Now when speaking about color I can’t skip my girl Tina aka The Fancy Face. She brings the shade, the heat and everything in between! Her product reviews are always super detailed and thorough plus she will bust out in a little patois every now and again. Socialite Sande can be a little much for some. Now me I’ll straight up say the whole beginning with her but I will let you know in advance she has no filter. Her comedic way of bringing you product reviews will have you rolling; if you’re cool with some sprinkles of profanity here and there (could be a chance of showers depending on the outcome though). This under rated beauty will give you glam and glitter with quick, easy to follow along makeup tutorials that will get you right! She can do it all from simple neutral looks to beautiful pops of colors she’s an up and coming YouTube beauty guru you need to know! When I tell you that Alissa changed my life when I watched her hooded eye tutorials! The struggle for us “hoodies” is definitely real. Since finding Alissa’s channel my eyeshadow application on myself has stepped all the way up. If you want to know all about precision and placement for your not so perfect eye shape, I totally recommend checking out this beauty. With it being Black History Month (no matter what they wanna call it, sigh) I had to represent for my melanin beauties. This list only represents a slither of all the beautiful black beauty gurus on YouTube so I know you have more. Drop some channel names down below and let me know some of your favorites! Awesome Job Kay! Loved this list! Hello, thanks so much for highlighting these awesome women. I look forward to watching them share their expertise. Jameelah Scott, is also a very knowledgeable and talented makeup artist. She has written a book titled, “So You Want To Be A Makeup Artist – Get Seen – Get Clients – Get Paid”. Her website is http://www.JameelahScott.com and she’s on Instgram @Jsthemua. Continued success to you and have a wonderful day! Nice! Thanks for the well wishes & for the suggestion, I’ll check her out. Nice post, Kara. I need to check some of these out because I need more melanin in my notifications. Great Recs! I added ALL of them! Let us all take a moment for this blog, a perfect list of beauty bloggers.